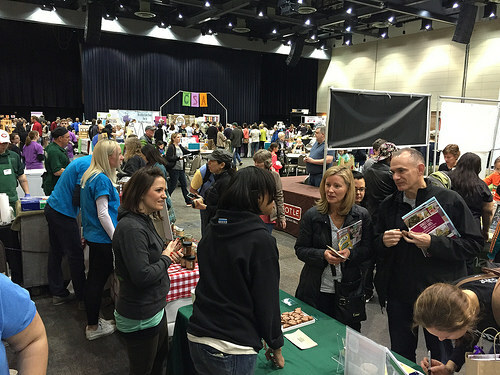 Good Food on Every Table and FamilyFarmed are pleased to publish this column by Anne L. Alonzo, administrator of the U.S. Department of Agriculture‘s Agricultural Marketing Service (AMS), about her participation in the Good Food Festival & Conference in Chicago last week. 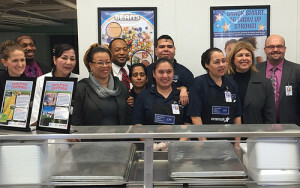 It was a homecoming for Alonzo, a Chicago native, and she reinforced the USDA’s support for farm and food businesses in the Good Food sector at the Conference and during a visit to the elementary school that she attended on the South Side. As Alonzo notes, AMS administers major federal programs that support local and sustainable food, and is a funder of FamilyFarmed’s Good Food Business Accelerator. 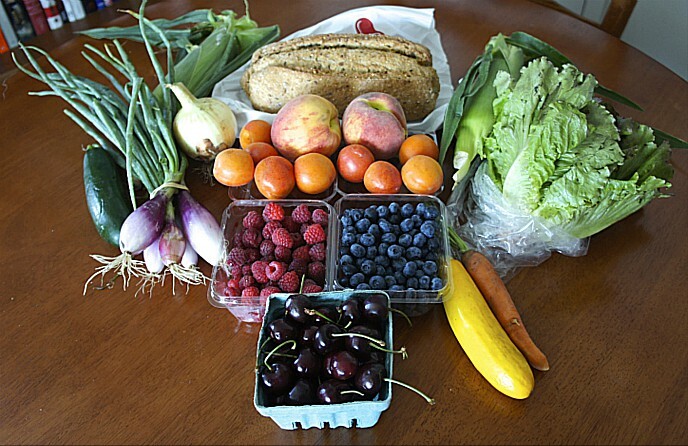 March is National Nutrition Month, and local food plays an important role in providing Americans with fresh, healthy fuel for their bodies. From farmers to financiers to schools and hospitals, there is a lot of passion for sharing Good Food by supporting strong local and regional food systems. I experienced this firsthand during my trip to Chicago, where I spoke at last week’s Good Food Festival & Conference, presented by FamilyFarmed. The trip came on the heels of a recent announcement that USDA is making $97 million available to expand access to healthy food and support rural economies. Grants from my agency — the Agricultural Marketing Service (AMS) – make up over $90 million of that funding. 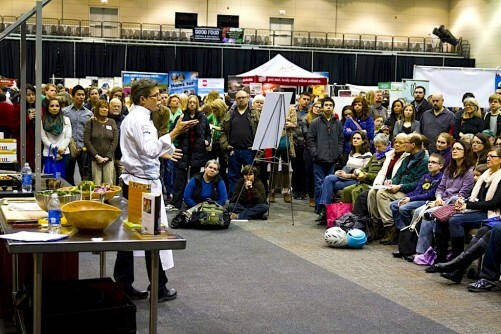 AMS was a sponsor and exhibitor at the trade show, where we shared information with stakeholders about the many resources we have to support local and regional food systems. Through our Specialty Crop Block Grant Program and Farmers Market and Local Food Promotion Program (comprised of the Farmers Market Promotion Program and the Local Food Promotion Program), AMS supports producers, local food entrepreneurs, and rural and urban communities across the country. At the conference, I met many local food producers and stakeholders who have directly benefited from AMS support for local food systems. I emphasized USDA’s continued commitment to this valuable sector and thanked the conference host, FamilyFarmed, for their inspired leadership in advancing local foods. Last year, FamilyFarmed received an AMS grant for their Good Food Business Accelerator Program, which leverages an impressive collection of partnerships to provide local food startups in the Chicago area with strategic, operating, and financial support. Another highlight of the trip was a visit to my old elementary school, Cyrus H. McCormick, in the urban Latino community where I grew up on Chicago’s South Side. Chicago Public Schools and FarmLogix, another AMS grantee, organized the visit to highlight how school districts are incorporating locally grown produce to provide kids with fresh, healthy food. We visited the students over their lunch that included local carrots and apples. Later, at a school assembly, they asked me all about my career, education, and working in government. I was in their shoes 30 years ago — it was incredibly moving to connect with them and hopefully inspire them to pursue careers in public service and agriculture. USDA continues to support the local food sector and has identified strengthening local food systems as one of the four pillars of our commitment to rural economic development and job creation. All of us here at USDA are doing all we can to support this sector via the Know your Farmer, Know your Food initiative. 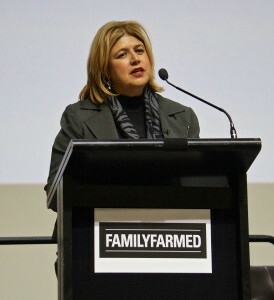 Anne Alonzo was one of several major government officials whose attendance at the Good Food Festival & Conference underscored the increasing attention that the Good Food movement is drawing from policy makers. For an analysis of this topic, please click here for a story published March 26 on Good Food on Every Table. Please visit the Good Food on Every Table home page for comprehensive coverage of the Good Food Festival & Conference. This entry was posted in Child nutrition and health, Farm to school movement, Farmers markets, Federal farm subsidies, Food Entrepreneurs, Food policy, Good Food Business Accelerator, Good Food business development, Good Food Festivals, Good Food Financing Fair, Good Food movement, Good Food Policymaking, Regional food systems, School food, Small Farmers and tagged Anne Alonzo, FamilyFarmed, FarmLogix, Food Policy, Good Food Business Accelerator, Good Food Festival & Conference, Good Food Financing &Innovation Conference, Good Food movement, Good Food policy, Know Your Farmer, Know Your Food, U.S. Department of Agriculture, USDA Agricultural Marketing Service. Bookmark the permalink.